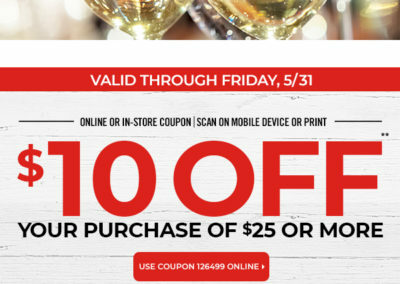 Print out that coupon and take it to your local Bevmo, or use coupon code: 126499 online for $10 off a $25+ purchase. Expires 5/31/19. 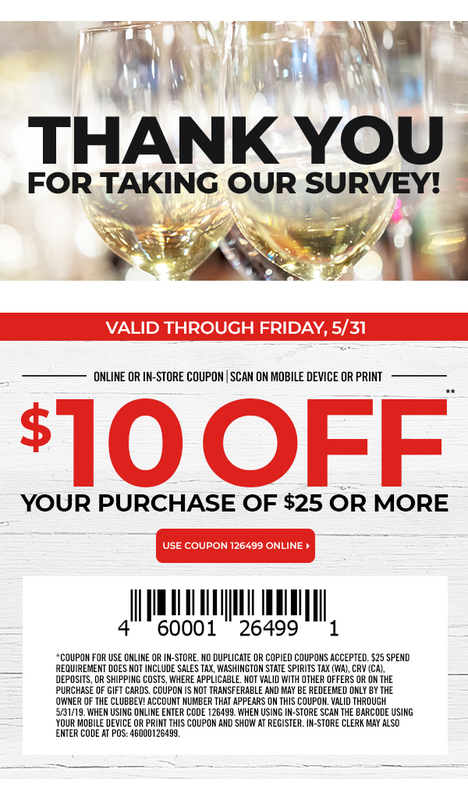 It’s a nice one to use with their 5 cent sale going on right now too. Free shipping on online orders over $75 in CA. Excludes gift cards.